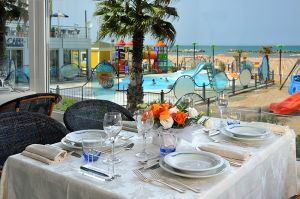 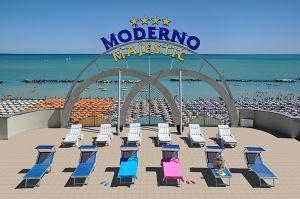 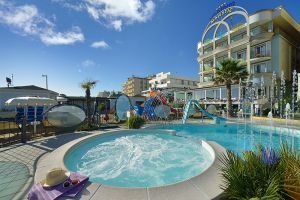 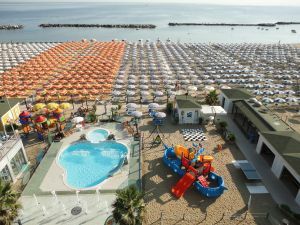 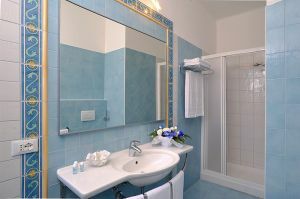 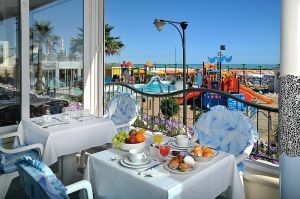 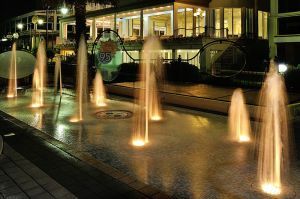 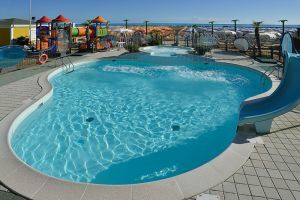 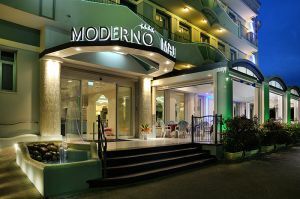 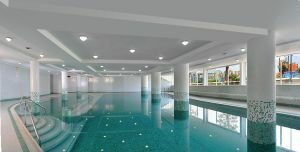 The 4-Star Hotel Moderno Majestic is waiting for you with 3 swimming pools (2, of which one is especially for children, are indoor and heated), situated directly on the beach in Cattolica. 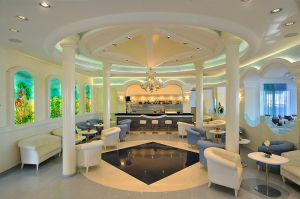 The covered terrace and the large dining room with a panoramic view of the sea make the holiday truly suggestive. 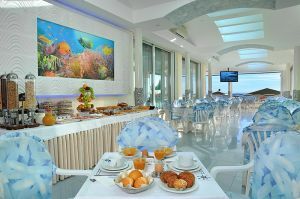 The small breakfast buffet is served on the terrace overlooking the sea in order to start your day in the best possible way. 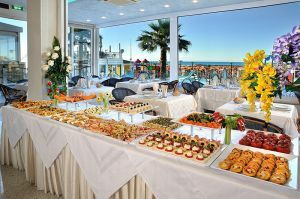 Lunch and dinner, accompanied by a rich buffet of starters and vegetables, are proposed in three menus to choose from and these are served in the large air conditioned dining room with a panoramic view. 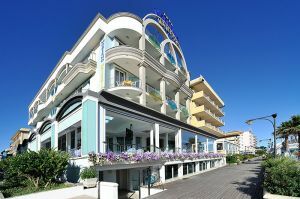 The hotel also offers 2 parking lots: one free at 400 meters monitored 24h / 24 with daytime shuttle service and 1 in the hotel for a fee, subject to availability. 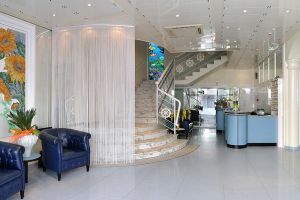 Availability of such services is from 11:00 am on the day of arrival until 10:00 am on the day of departure.